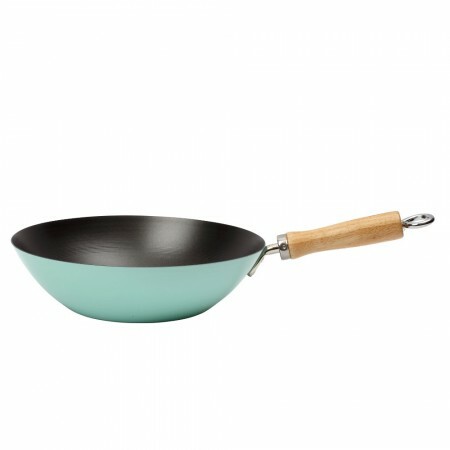 Get cooking, wokking up a storm with this fun and bold mint non-stick wok. Made to the highest standards, this wok is a fantastic choice for enthusiastic cooks, along with those starting off on their Asian cuisine adventure. 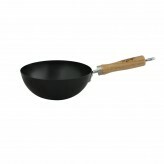 Made to the highest standards, this wok is made from durable and tough PFOA free non-stick carbon steel. 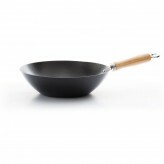 Quickly and evenly heating up, this wok promises perfectly cooked dishes every time and enjoyment with every use! 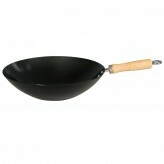 A metal ring has been added for easy hanging, a flat base for stability, as well as a wooden handle for enjoyment and safety. 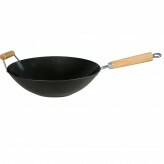 Thanks to the non-stick coating, there is no need to preseason your wok before use. 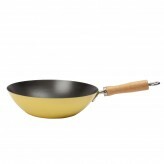 Hand wash this wok; this wok measures at 27cm. Wok up a storm with the colourful and attractive mint non-stick wok from Dexam.